"Close to Office and Laundry"
Charming 1/1 with Florida room that could be a second bedroom and a sweet lanai. This vintage home is ready for you to bring clothes and a toothbrush. Close to the beaches of Fort Myers, Captiva and Sanibel, the world-renowned Shell Factory, Punta Gorda Airport and Fort Myers International Airport. Located at 4265 Hitzing Ave in the tidy Twin Pines Community, this charmer boasts over 1,000 sq ft. with the additional rooms. It currently has window A/C units but appears to have been ducted for central A/C. This home is furnished. Make this home yours for $10,900. Lot rent is $409 monthly and includes trash pickup, lawn care, water, and sewer. Electric is through LCEC and Cable from Xfinity. 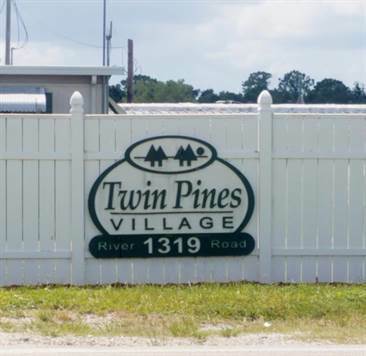 Twin Pines is a 55+ Community.